Craig Freeman is The Rambling Dad. As denoted in his Twitter profile, his two kids (Edie, 3, and Otis 14 months), a wife (Emma), a cat (Bertie) and a vegetable patch fill his non-working hours; “digital marketing and innovation takes up the rest”. 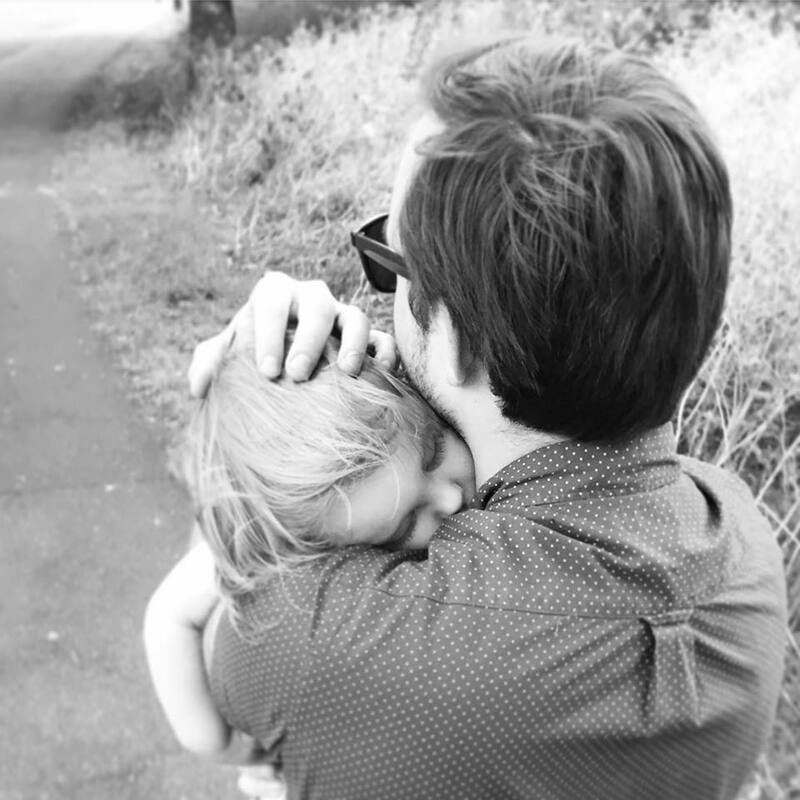 Hailing from Surrey in the UK, Craig started the blog a couple of years ago as a place to share his “ramblings” as a new dad. “This tends to include blogs filled with thoughts, questions, brainwaves, rants, products we have tried and places we have found,” he states. “I want to document our lives but also create a place where I can share advice, learnings and insecurities”. Craig says that none of his friends had children when he became a dad. “We didn’t do NCT so I felt a little isolated. Having an outlet felt important,” he says. So, down the blogging path he went. While a couple of early posts gained some traction, it’s been a slow build that’s only kicked up a notch since migrating to WordPress and launching a Facebook page at the start of this year. Is there a secret to balancing the blog with young kids and work? The blog side of things covered off, The Dad Website hit Craig with some parenting posers. Tough question. I’m lucky to be part of a large family that has always been there for each other through the good and the bad times. The main thing that my family has given me is time. Time to listen to me, to share advice, to laugh or cry with me. That’s the dad I am trying to be. One that is present, one that is part of his children’s lives, one that knows who their friends are and what they like and don’t like. I want to instill values and direction but give them enough freedom to make their own choices. The single biggest challenge of fatherhood? The juggle! Trying to be the dad, the husband, the son, the brother, the uncle, the friend and the employee I want to be. There is not enough time in the day so I know some compromises have to be made, I just struggle to know what the priorities should be. I had no idea what to expect when Edie came along. I don’t think I had ever even held a baby before. So I had no pre-conceived ideas of fatherhood. I have since rolled with the punches and learnt from every knock to be in a place where I feel semi in control and confident in my abilities. I think I have finally perfected my stern voice! There is not enough time in the day so I know some compromises have to be made, I just struggle to know what the priorities should be. Fun stuff do you do with your kids? We have just finished the Wildlife Trust’s 30 Days Wild initiative where we had to do something connected to nature for every day of June. It was a test of my creativity, research ability and patience at times but we thoroughly enjoyed it. Not only did we learn a lot about the natural world around us but we spent some really quality time together. The best activities were the ones Edie could get fully involved in. Collecting leaves and sticks to make people and animals out of them was brilliant fun for all of us. Making stone stacks was really great too. I would also say though that identifying trees, flowers, bird song and clouds has kept both of us interested the whole month. I have an app for each and has led to a few proud dad moments as Edie tells friends and family that a pink flower they have found is Herb Robert, or a bird we can hear but not see is a Robin or the long thin cloud above is a contrail! Thoughts on how modern dads are perceived? It is definitely changing but there still seems to be some surprise when dads are fully involved. It’s as if we are expected to parent at arms’ length. To focus on our career and put the family second. When a dad rejects that there are definitely some eyebrows raised. You only have to look at how few men’s toilets have changing tables to get a sense of it. Absolutely. I used to live totally just for the moment but now I’m looking into the future so much more. That might be planning for our own future as a family or worrying about the future of our country and the planet. Brexit, climate change, terrorism… they are all aspects that have me worried for the world our children live in. I know there is not much I can do about them so I have decided to focus on who they are now and the adults that they are going to become. 1. That they are their own person. They don’t have to shape themselves to fit in. 2. That there is something they can learn from every situation good or bad if they take a step back from it. 3. That it’s good to talk. Don’t keep worries to yourself as all they do is grow and make you feel worse. 4. Not to judge a book by it’s cover. You never know what someone’s story is until you ask. 5. That kindness makes the world go round. Follow Craig on The Rambling Dad’s Facebook and Instagram pages.